A sprawling 417-acre township. Finally, a place you can truly call Home. 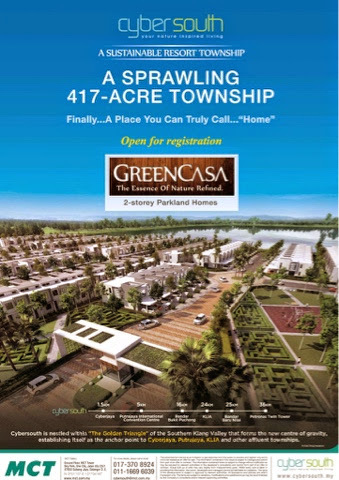 Open for registration, 2-storey parkland homes in a sustainable resort township. Cybersouth, your nature inspired living by MCT. Cybersouth is nestled within the Golden Triangle of the Southern Klang Valley that forms the new centre of gravity, establishing itself as the anchor point to Cyberjaya, Putrajaya, KLIA and other affluent townships.